Bruno and Laurence have founded a Great House, but also a family with Manon and Guillaume. 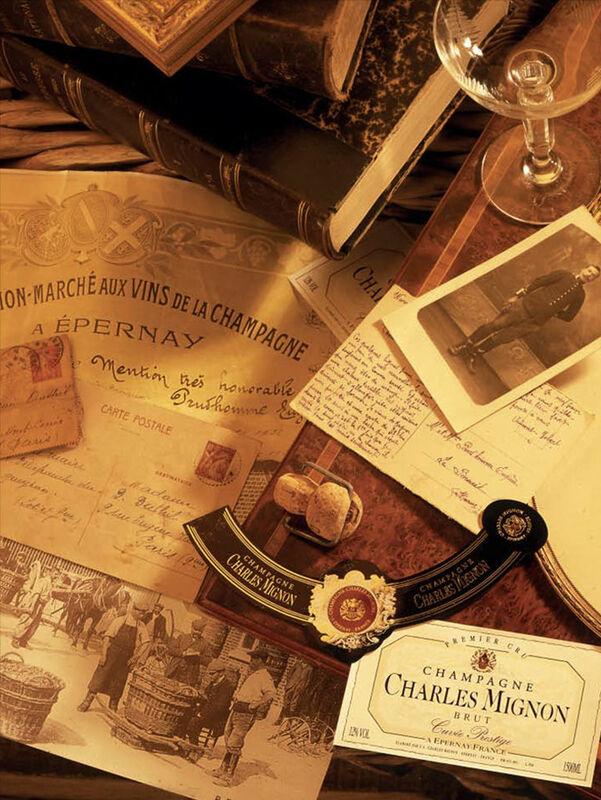 As young children, they both played hide and seek in the cellars… Today, as grown-ups, they take part to the life of Champagne Charles Mignon. 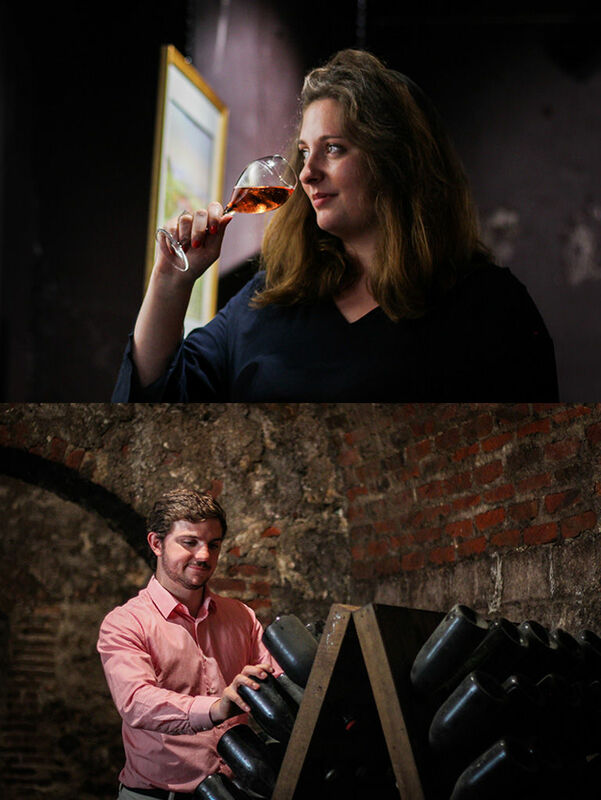 With Laurence, Manon is developing wine-tourism activities ; with Bruno, Guillaume can imagine the future cuvees of the brand. What unites the Mignon family above all is gastronomy: while in the kitchen, some saucepans are moved around and some smells are arising, a wine is chosen to sublimate the menu. 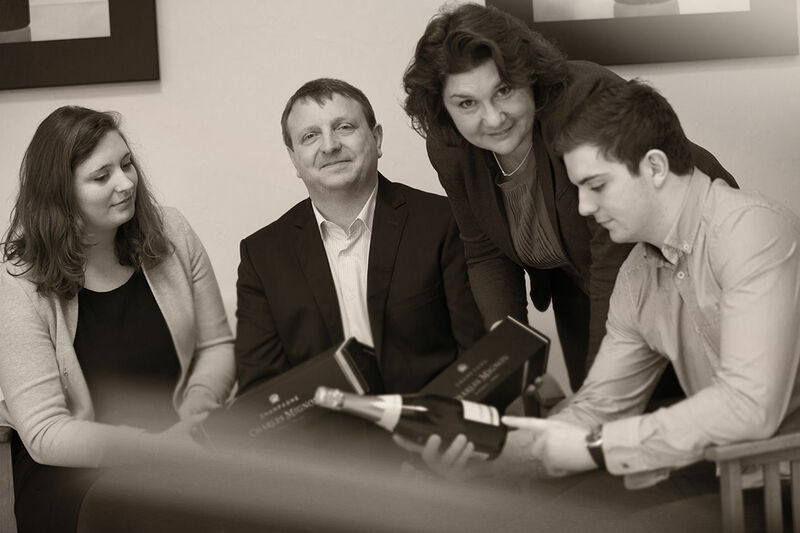 The Mignon family comes from a line of winegrowers native from Mesnil-le-Huttier, a little hamlet of Festigny, a village located a few kilometres away from Epernay, the capital city of champagne. The Vallée de la Marne vineyard runs alongside Côte des Blancs, well-known for the quality of its Chardonnay. 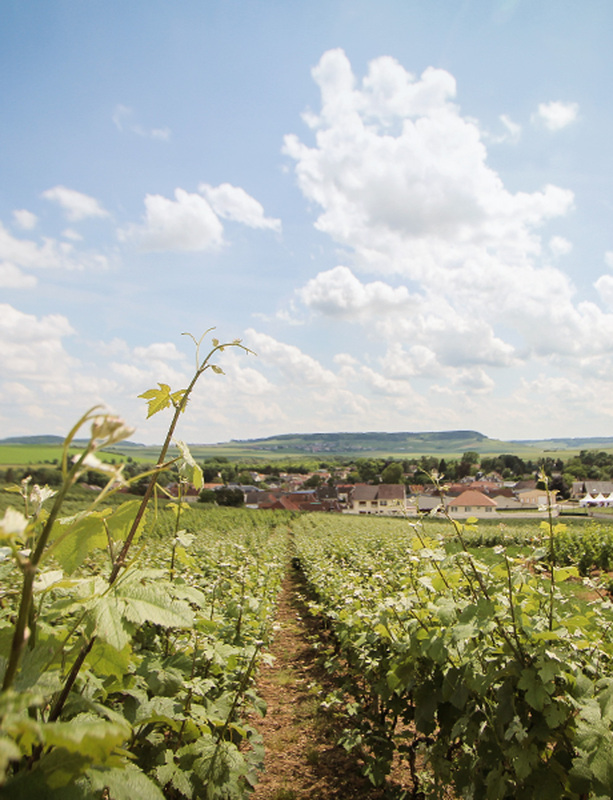 Champagne Charles Mignon has vines at the heart of the Great Growth village of Chouilly. Therefore all the quality and history of an old vineyard can be found in the House cuvees. To visit the website www.champagne-mignon.fr, you must be of legal age of purchase in your country of residence. By clicking on I am of legal age, you accept the terms and conditions of use of this site.